At Welzia we base our investment management methodology on the Modern Theory of Portfolio Management and its subsequent developments (from Markowitz to Litterman). The return on an investment is a consequence of the risk assumed. The higher the risk we are prepared to assume, the more assets we can access that offer the possibility of obtaining a bigger return. 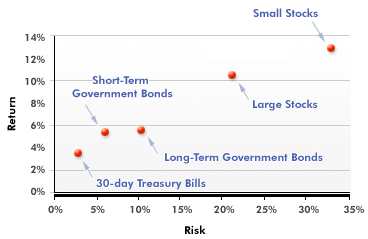 The risk of a portfolio can be reduced through diversification. The distribution of Asset Classes is much more important than the selection of specific investments or the timing. 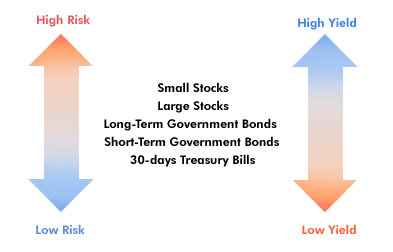 Diversification allows to adapt the portfolio to each risk profile. 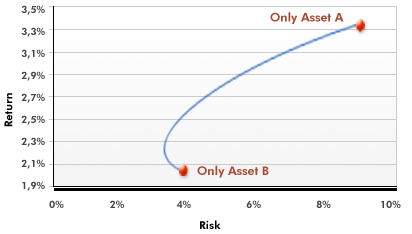 Based on two assets with very different expected returns and risks, when none convince us because one offers a scarce return (asset B) and the other has too much risk (asset A), we can combine them to find portfolios that offer risks more in line with our profile, and allow expected returns that could satisfy us. 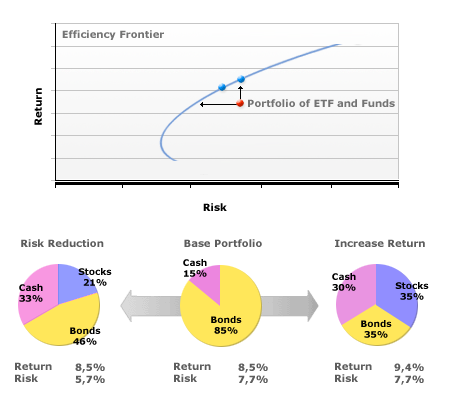 We can find the portfolio that maximises the expected return for each risk level. 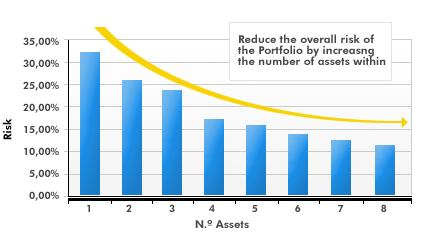 Also, as direct consequence, we could obtain the portfolio that involves the least risk, for an expected return. Both situations give rise to what is known as the “Efficiency Frontier” concept, of great utility in the portfolio construction process. Asset Allocation is much more important than the selection of specific investments or timing.